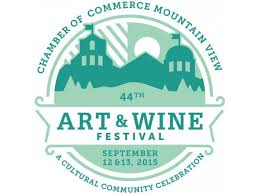 This weekend is the Art & Wine Festival in Mountain View California. Melissa & I are going to be bringing all of the cutting boards, serving trays, wine crates, utensil caddy's, etc. we can fit into the shop van and sell them to the highest bidder. This is really a test for me because I have not tried the Bay Area Festival market yet and I am curious how the response will be to our custom wood products. I am hoping for the sale of a lifetime and to bring home absolutely nothing. Wouldn't that be great! If you are reading this, then you are one of my most loyal of followers and its possible you live close to Mountain View so you can come! I will have to update with pictures and sales information next week when I get back.